Born: 21 June 1880, Honiton, Devon, England. Died: 12 January 1949, King William's Town, South Africa. Guy C. Shortridge, museum director, was the son of Thomas W. Shortridge, a country doctor, and his wife Louisa Chester. He was interested in natural history from an early age, for one of his school masters remarked that "Shortridge's desk is usually a collection of half-skinned rats, snakes and wasp's nests" (Randles, 1984, p. 29). He was keen to travel, and enlisted for service in the Anglo-Boer War (1899-1902), but afterwards remained in South Africa for some time to collect mammals and birds for the South African Museum. In 1901 he made the most important entomological donation of the year to the South African Museum, in the form of a large orthopterous insect of the sub-family Pneumorinae. From December 1901 to December 1902 he travelled and collected in Pondoland (Eastern Cape) and subsequently published a paper on "Birds of Port St Johns, Pondoland" in The Ibis (1904). From July to September 1903 he was in the neighbourhood of Hanover, where he again concentrated on birds. These he described in "Birds collected and observed around Hanover, Cape Colony..." in the Journal of the South African Ornithologists' Union (1905, Vol. 1(1), pp. 18-31). Shortridge returned to England in 1904 and during the next few years undertook expeditions on behalf of the British Museum (Natural History) to Australia (1904-1905), New Guinea, Java and Borneo. These ventures were very successful. For example, in Java he obtained over 1500 mammals, representing one of the finest collections the museum had ever obtained from a single region. Subsequently he travelled to Guatemala to collect living animals for the Zoological Society of London. In 1912 he went to India and joined the Bombay Natural History Society's Mammal Survey, collecting successfully in southern India and Burma. When World War I (1914-1918) broke out he enlisted again, serving first in France and Iraq, and then with the Royal Flying Corps (later the Royal Air Force) in Palestine. After the war he came to South Africa again and was stationed with No. 3 African Survey Party of the Royal Air Force in Pretoria, which was surveying and laying out airfields along the Cape to Cairo route. In August 1920 he successfully applied for the post of curator of the Kaffrarian Museum in King William's Town, following the death of Mr Frank A.O. Pym*. After first returning to Britain to be demobilised he took up his duties in March 1921. With financial aid from the Percy Sladen Trustees, channelled through the British Museum, Shortridge undertook an expedition to the Orange River, between Upington and the Molopo River, to collect mammals for the British and Kaffrarian museums. The expedition took place from November 1922 to January 1923 and 376 specimens were collected. The success of this venture led to a further grant from the Percy Sladen Trustees, to finance a winter expedition to South West Africa (now Namibia) in 1923. During this trip some 700 mammal specimens were collected, including several species new to science. The collection was described by O. Thomas of the British Museum and M.A.C. Hinton in the Proceedings of the Zoological Society (1925). Altogether Shortridge undertook 14 such expeditions between the time of his appointment and his death in 1949, six of them to Namibia during the first ten years. He traversed the inhospitable region from the Orange River to the Caprivi, mostly in a donkey waggon and on foot. During 1924 some 470 specimens were collected from Ovamboland and the lower Cunene River during the third Percy Sladen expedition. From the resulting collection O. Thomas described 22 new species and sub-species (Ibid, 1926). The rodents collected during the expedition proved useful to the Namibian Medical Officer of Health for a study of rodents as plague carriers. The fourth Percy Sladen expedition visited the Gobabis disrict and eastern Damaraland. In 1927 Shortridge undertook the fifth Percy Sladen expedition to the Kaokoveld, where he collected about 1500 specimens, including many new and little known species. The mammals collected during these last two expeditions were again described by O. Thomas (Ibid, 1927, 1929). Early in 1929 his last Namibian expedition, the longest and most productive of all, took him to the Okavango and western Caprivi and completed his mammal survey of that country. In 1931 Shortridge published two papers, "Felis (Microfelis) nigripis thomasi subsp. nov." (Records of the Albany Museum, Vol. 4, pp. 119-121), and "Field notes on two little-known antelopes: the Damaraland Dikdik (Rhychotragus damariensis) and the Angolan Impala (Aepyceros petersi)" (South African Journal of Science, Vol. 28, pp. 412-417). During 1933 he went to London on 12 months' leave to complete his most important publication, The mammals of South West Africa: A biological account of the forms occurring in that region (London, 1934, 2 vols). The book dealt with about 200 mammal species, providing details of their appearance, habits and distribution, and earned him a lasting reputation among zoologists. Shortridge returned to the museum in September 1934 and embarked on a series of collecting expeditions to various parts of the Cape Province and beyond. However, he also found time to publish his "Field notes... on Western Australian mammals..." (Proceedings of the Zoological Society, 1936). During 1936 he spent six months in Namaqualand, where he obtained more than 2000 specimens of mammals, and subsequently described "A new genus and new species and subspecies of mammals from Little Namaqualand and the north-west Cape Province..." in the Annals of the South African Museum (1938, Vol. 32(4), pp. 281-291). From November 1937 to January 1938 he undertook the second Cape Museums' Mammal Survey of the Cape Province, collecting over 1200 specimens in the north-western Cape. The specimens were divided between the several museums that had supported the expedition. His next expedition was to Barotseland (eastern Zambia) from May to November 1938 and was financed by his friend Arthur Vernay. He was accompanied by Donald Carter, curator of mammals of the American Museum of Natural History, New York. Over a period of seven months some 5000 mammals and a number of birds were collected, which may well have been a world record number for any single expedition. In June 1940 Shortridge was granted leave for the duration of World War II (1939-1945). He spent the next two years in Military Intelligence at Pretoria, where he compiled A gazetteer of Abysinnia... (1940, 54p) for the army. He returned to duty on 1 August 1942. The third Cape Museums' Mammal Survey took place from November 1945 to February 1946 and covered the Karoo. The next year he published his "Field notes on the first and second expeditions of the Cape Museums' Mammal Survey of the Cape Province and description of some new subgenera and subspecies" in the Annals of the South African Museum (Vol. 36(1), pp. 27-100). His next expedition was to Malawi in May-September 1946 and was again financed by Arthur Vernay, who accompanied it. Other members of the expedition included Dr H. Anthony of the American Museum of Natural History and Mr L. Brass of the New York Botanic Gardens. In September and October 1947 Shortridge undertook a short but successful expedition to the neighbourhood of Calvinia, mainly in search of the little-known "River hare" (Bunolagus monticularis). Among others the expedition obtained a single specimen of a rare new species of golden mole, Chrysochloris visagiei, described by Robert Broom* in 1950. This specimen remained the only known example of the species for decades. In October-December 1948 his last expedition took him to the Sutherland district and to Orinway Farm in the Albany district, in collaboration with the Amsterdam Museum. During his first visit to South Africa Shortridge was an early but short-lived member of both the South African Ornithologists' Union and the South African Association for the Advancement of Science. 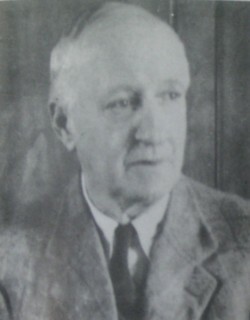 In 1945 he became a foundation member of the South African Archaeological Society. As a result of injuries sustained when he was knocked down by a car he suffered frequent blackouts during the last two years of his life and on 12 January 1949 committed suicide by strychnine poisoning. His two late brothers had also committed suicide. During his time as curator and director of the Kaffrarian Museum that institution focussed almost entirely on mammals, resulting in a collection of about 17 000 specimens, most of which were acquired by Shortridge. It was at the time the best collection of southern African mammals in the world and made him one of the greatest mammal collectors of his time. In accordance with his wishes the collection has been kept together as a single study collection. He also contributed to ethnology by collecting San artefacts on his expeditions, and produced some undated water colours of butterflies. Three rare species of mammals that he discovered were named after him: Chrysochloris shortridgei, a golden mole from the neighbourhood of Port Nolloth; Myomis shortridgei, a mouse from the Okavango region; and Crocidura shortridgei, a shrew from the Caprivi. Cape of Good Hope. Report of the Trustees of the South African Museum, 1901. De Graaff, G. The rodents of southern Africa. Durban: Butterworths, 1981. Dictionary of South African biography, Vol. 2, 1972. Hirst, M.M. & Randles, B.M. A short history of the Kaffrarian Museum's 100 years. Southern African Museums Association Bulletin (SAMAB), 1984, Vol. 16, pp. 68-74. Journal of the South African Ornithologists' Union, 1905, Vol. 1(1), paper by Shortridge. Obituary: Captain Guy Chester Shortridge. Southern African Museums Association Bulletin (SAMAB), 1949, Vol. 4(10), pp. 299-301. Obituary: Captain Guy Shortridge. South African Archaeological Bulletin, 1949, Vol. 4, p. 36. Obituary: Captain Guy Shortridge. South African Science, 1949, Vol. 2, p. 158. Randles, B.M. A history of the Kaffrarian Museum. KingWilliam's Town: Kaffrarian Museum, 1984. Records of the Albany Museum, 1931, Vol. 4, paper by Shortridge. Shortridge, G.C. The mammals of South West Africa.... London: Heineman, 1934. South African Association for the Advancement of Science. Report, 1903, list of members.